4K or not to 4K, eh? With Xbox One X, Microsoft hopes you'll be willing to dive into the 4K revolution with its super-powered 6TF console. But how good is it really? And is it worth the hefty cost of admission? We have all the answers. Leading up to the announcement of the Xbox One X, prominent analysts and commentators said that anything above $399 would be a death sentence for the console, despite all the technology crammed into the box. Even when you disregard the Xbox One X's $499 pricepoint, and when you factor in the price of the 4K television required to use it optimally, you know this isn't a console for everyone. If you're looking to buy an Xbox One X, you can't just consider the 4K box itself. You also have to consider the ecosystem attached to it: games, media, and beyond. Unlike purchasing a gaming PC, with a console purchase, you're also locking yourself into a specific storefront. You're also trading the potential versatility of Windows for the out-of-the-box usability of a closed, standardized hardware ecosystem. The Xbox One X and Xbox landscape are a whole lot different than the original Xbox One in 2013. If you're already a diehard Xbox fan, Microsoft knows you're going to buy this box. But for lapsed fans who left the platform for PlayStation 4 at the start of this generation, or Microsoft ecosystem users looking to jump in for the first time, the Xbox One X is by no means a guaranteed win. Here's why. There's no denying how powerful the Xbox One X is. It's virtually impossible to create an equivalent gaming PC at this price point, even when you disregard some of the console's additional aspects like UHD Blu-ray and its uniquely compact design. The Xbox One X is, in fact, the smallest Xbox ever made, featuring a slimmer depth profile than that of its standard HD brother. Like previous consoles, the Xbox One X's design is intentionally unremarkable. It's a black box, designed to disappear in among your other TV peripherals in your media center. The reverse has a grill to promote air flow, and the Blu-ray drive has changed position slightly from that of the S, hidden neatly under the larger top section. The most remarkable thing about the physical design is the amount of power Microsoft managed to squeeze into such a small space. Like the S, the X can be positioned vertically, but as of writing, there's no official stand for the standard edition Xbox One X, which might prove annoying for some. However, there are some third-party options already popping up. Overall, the most remarkable thing about the physical design is the amount of power Microsoft managed to squeeze into such a small space. Microsoft pioneered new computing methods to get the most out of the X's hardware, boosting memory bandwidth and overall computing capabilities in the process. The customized chips help the X punch above its weight range, combined with powerful cooling techniques and some industry-leading design principles, ported across from Microsoft's billion-dollar Surface PC line. Speaking of cooling, the Xbox One X is never blisteringly hot to the touch when it's running 4K games, and considering it has an internal PSU and 6TF of computational power, that's an achievement. The top portion gets a little warm, but it's by no means worrisome. The reverse vents dissipate heat well, just make sure that your X is going to be properly ventilated. At peak, you're looking at around 155 degrees F (68 degress C). Despite all that cooling, it's also silent. My external HDD is louder than the console. My Razer Blade laptop, by comparison, sounds like a jet engine even running games at just 1080p, with the One X coming in at just 42 dBA during peak loads. The Xbox One X is warmest at the back of the box, where the heat is ventilated. As you can see from the top image, the X (left) definitely runs hotter than the S (right). As far as ports are concerned, Xbox One S owners will find the Xbox One X familiar. Two rear-facing USB 3.0 ports are joined by a front-facing port. There's your standard glowing power button, an Xbox Wireless pairing button, SPDIF optical audio, a port for Ethernet, and the return of HDMI-in and -out. Like the S, there's no Kinect port, as Microsoft recently announced its support of the peripheral is coming to an end. While the ports are familiar, some of the features, at least where HDMI is concerned, will be exclusive to the Xbox One X. The new box will eventually support HDMI 2.1 via a firmware update, which brings a potentially crucial feature in the form of Variable Refresh Rates (VRR). VRR over HDMI is going to be a staple of the next generation of TVs and displays, and several Xbox One X games are already advertised on the store as supporting VRR. While you won't really be able to take advantage of this on day one, the X is futureproofed for this standard. What VRR does is synchronize the frame rate of the game directly with the display. At the moment, if your game isn't able to output frames at the speed of your display, you will either get a dropped or torn frame, known as screen tearing. VRR solves this by updating your display only when it receives an image from your console, leading to a far smoother, higher-quality experience. While we can't test this today, the Xbox One X will be the only console that does this for the foreseeable future. Overall, it's hard to argue against the quality of the Xbox One X's physical attributes at this price point. But a console is only as good as its software and services. For the most part, the Xbox One X OS is identical to that of Xbox One S. You might think the beefier hardware in the X might lead to an even snappier experience, but if there are any performance gains, they're almost imperceptible. The main difference between the Xbox One X and S in terms of OS features is a flashy new boot animation, which celebrates the Scorpio engine and the powerful internals Microsoft baked into this device. Additionally, the Xbox One X can record video games in 4K with HDR. Right now, the best solutions for achieving this functionality are often quite expensive or PCI-e based, designed for desktop computers. For Microsoft to include such powerful recording features in the X, which now supports external 60 minute captures to a separate HDD, is truly laudable. Sadly, you can still only share 1080p clips on Xbox Live, and the 4K HDR screenshots are difficult to work with, outputting as .JXR and .PNG files that need to be combined to be viewed outside of the console. Hopefully, Microsoft will fix this in the future, because it's pretty silly. It doesn't feel like Microsoft is 'all-in' on 4K content. If you're unfamiliar with the Xbox One OS, it was recently updated to promote speed and usability. You can access a special Guide menu from anywhere, whether it's TV, movies, apps, or games, giving you access to friends lists, Xbox achievements and beyond. For Xbox One X buyers, the greatest feature is the fact you can back up your entire Xbox One to an external HDD, and simply move the whole thing to the X on launch day. There's no huge fuss during set up, except for an 800MB update. On the media side of things, Microsoft emphasized the amount of apps that now support 4K video. You have the UHD Blu-ray player obviously, and offerings like Netflix and Amazon Video. If you're in the U.S., there will be even more 4K-capable services. It is, however, incredibly annoying, that Microsoft itself isn't leading the charge on 4K digital distribution for TV and movies. If you're someone who has been investing in digital movies from the Windows and Xbox stores for years, the amount of 4K content to purchase on those storefronts is anemic. You can count a number of 4K movies available to buy from Microsoft on one hand, as of writing, and there's little indication this is going to change in the near future. They're also ridiculously expensive. It doesn't feel like Microsoft is as "all-in" on 4K content as it might like us to think. Apple recently announced that movies purchased through iTunes would be updated to 4K for free. In this case, Apple TV dominates the Xbox One X as a 4K media center. But ultimately, you're likely here for the gaming, not the media experience. At the time of writing, there's only a handful of games available to demo with Xbox One X enhancements, but Microsoft is aiming to get around 70 titles up during launch week, with over 150 in the roadmap. We'll be focusing on the games we have had hands and eyes on, including Gears of War 4, Assassin's Creed: Origins, and Killer Instinct. Make no mistake, with the right TV and the right games, the Xbox One X will blow your mind. First, let's describe exactly how the Xbox One X handles its "Xbox One Enhanced" games, because it's not entirely straightforward. The first thing to note is it's up to developers whether games get enhanced specifically to take advantage of the Xbox One X horsepower. But that's not the full story. Games that have been developed with change resilience in mind, namely dynamic resolution scaling, will have an edge on the Xbox One X, achieving their target resolutions and frame rates more often. The speedier HDD will also help with load times, so you will get a better experience from the X, even when a game hasn't been patched. 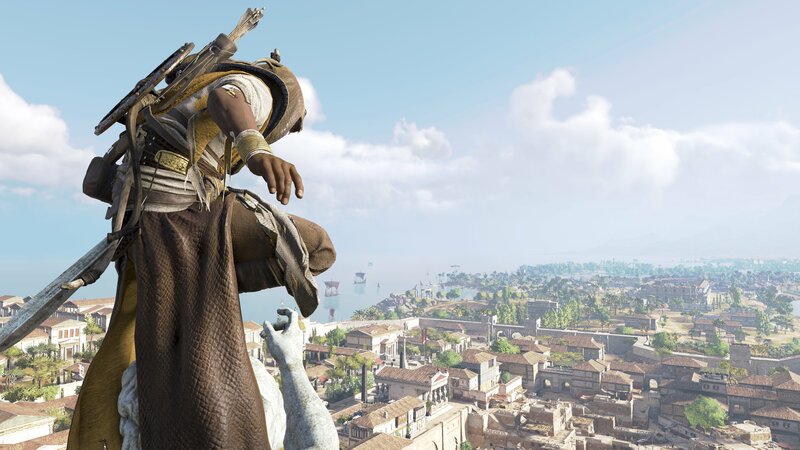 Playing an unpatched Assassin's Creed Origins was noticeably better on the X, with more consistent frame rates. 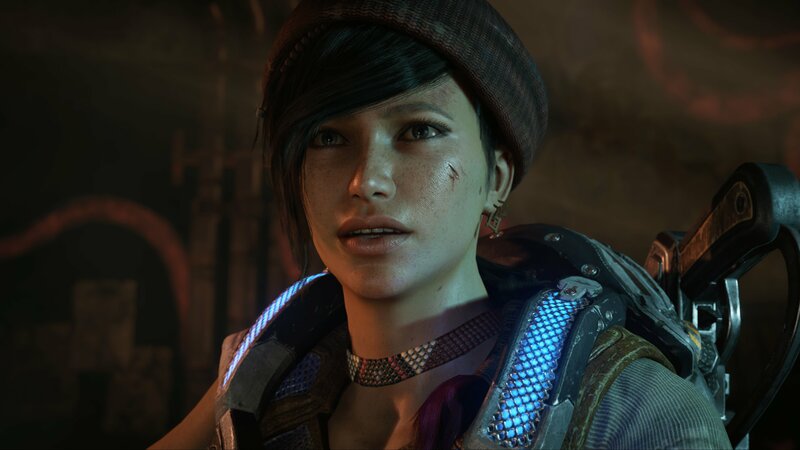 Beyond that, the Xbox One X will enlist supersampling techniques to render more beautiful images on enhanced games, even on 1080p displays, and developers are taking advantage of the ability to include different graphics settings to boost things like frame rate and general quality over resolution, acknowledging that not everyone will have a 4K display. At least for the games we have available now, the difference between a supersampled 4K image on a 1080p display is quite hard to discern, frankly. There are simply not enough pixels to showcase the full beauty of a 4K image on a 1080p display. The amount of raw potential in the Xbox One X is staggering. You will see improvements to textures, foliage density, and draw distances, when developers focus their efforts on physical upgrades, rather than flat resolution bumps. On 1080p displays, perhaps the best use of the X horsepower is when developers transform a 30 frames per second (FPS) game to 60 FPS, as we've seen with Rise of the Tomb Raider and Gears of War 4. It's far more dramatic a difference than the supersampled 1080p images, so hopefully developers will continue to offer 60 FPS modes where possible. There's a lot of "hopefully," in this section, and that's because a lot of the features and capabilities of the Xbox One X rely so heavily on what developers do with the hardware. As a gamer, you will want to know whether or not your investment in the console is going to pan out in terms of support from third-parties, and it's hard to say at this point. In games, you'll be able to see finer and distant details far more easily on 4K enhanced titles. For the games that are supported, the Xbox One X achieves things previously only possible with higher-end gaming laptops and custom-built desktop PCs, such as native 4K visuals, occasionally with 60 FPS frame rates. Throw in HDR lighting on a high-quality TV, and games like Gears of War 4 simply look vivid, next-gen, and almost frighteningly immersive. Higher resolution textures supported by millions of extra pixels create a sharper image across the board, particularly in the details of distant objects or intricate designs, such as the textures on enemies and weapons. HDR gives the game some truly dramatic lighting, which elevates the campaign's cinematic qualities far beyond what the standard Xbox One is capable of. 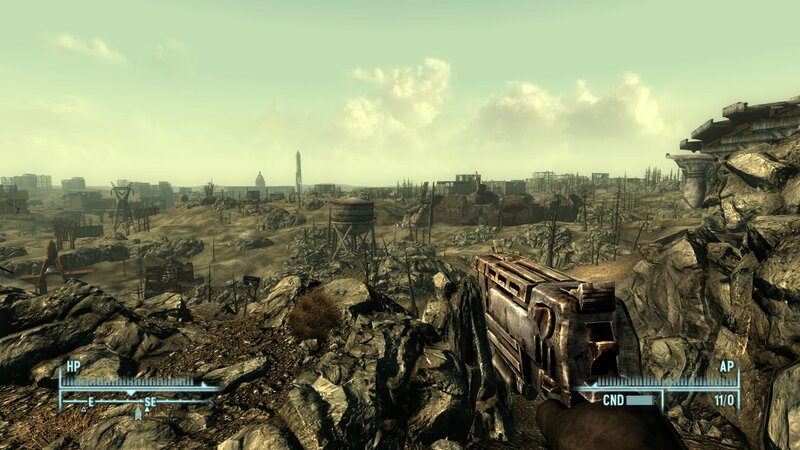 Another game that sports truly noticeable improvements, surprisingly, is 2008's Fallout 3. Microsoft is working to tidy up some of the Xbox 360's classic games, some of which really struggled on the old console. Fallout 3 on the X now looks like its maxed-out PC counterpart, which gives the classic title a new lease on life. Gears of War 4 and Fallout 3 are both great examples of the Xbox One X's capabilities, but having played Assassin's Creed Origins at 4K, it is the best looking game I've ever seen, particularly since I've been slugging through the blurry Xbox One S version over the past few days. The extra pixels pushed by the X produce crystalline scenery that showcases games at their absolute best. It's about the glistening, intricate architecture of forgotten catacombs in Rise of the Tomb Raider, the detailed reflection of the pock-marked moon as you trek through Gears of War 4's ruins, and the sand-blasted hieroglyphs on an Assassin's Creed Origins ancient temple. It's hard to talk about gaming potential on the Xbox One X without mentioning virtual reality (VR), or in Microsoft's case, Windows Mixed Reality. Microsoft originally touted VR as a driving factor behind the Xbox One X's specs, but since then all mention of VR has gradually disappeared from the console's marketing. As of writing, there's no Mixed or VR content available for the Xbox One platform, and Microsoft says its focus for WMR is on PC right now. It's a safe bet we won't see VR on the Xbox One X any time soon either. The 4K resolution makes such a huge difference, though, and that's frustratingly difficult to demonstrate in an article or a video unless you're viewing it on a large 4K display yourself. So, the million-dollar question: Is it worth the price of admission? Games on the Xbox One X, on a decent 4K display, are truly awe-inspiring. The big studios pushing the technology to its full utilization are ushering the next leap for console gaming, offering an experience that, up until now, was restricted to higher-end PCs. That's the thing about the Xbox One X – it's remarkably gimmick-free. There's no Kinect, there's no VR or holograms. It's razor-focused on delivering the best console gaming experience possible, and as long as Microsoft is able to produce the full amount of developer support it claims to have, Redmond will have achieved its aims. The biggest question marks hanging over the Xbox One X have less to do with the console itself, and more to do with the ecosystem. There is very little 4K video support on the Microsoft Store, from a company that seems increasingly risk-averse and unexciting in the consumer space, killing consumer products, services, and games with worrying frequency. After experiencing a game with Xbox One X enhancements, particularly 4K, it's truly hard to go back to standard HD. What will Xbox One X support look like in a year? What exclusive photorealistic games are on the way that will use the X to its full potential? Microsoft doesn't answer any of those questions, putting the onus on third-party developers and old (sometimes very old) games to do the heavylifting in the short term. There's 150 plus games on the way, but we don't have a definitive roadmap for launch week, and it's something you should be aware of. Stalking Egypt in 4K in Assassin's Creed Origins or battling waves of grotesque monsters in Gears of War 4 proves the sheer genius of the Xbox engineering team, allowing console gamers to experience truly high-end gaming for the first time without an expensive gaming PC rig. The difference isn't big enough to make me want to go back and play old games though, and there's no concrete information on when more recent games on the enhancement list will get the 4K boost. After experiencing a game with Xbox One X enhancements, particularly in 4K, it's simply hard to go back to standard HD. There are no doubts about the hardware potential. It's just that as of writing, it's hard to know for sure how much waiting you'll have to do to see the console and that expensive 4K display achieve their money's worth. And that's unfortunate. With the hardware totally nailed, it all depends on how much faith you're willing to put in Microsoft to deliver those games, and how long you're willing to wait for that promised 4K content. Future-proofed for VR and FreeSync VRR. Amazing power in a tidy package. Xbox One X Enhanced games are relentlessly immersive. Little 4K media in the Xbox Store, and what is there is expensive. Price of entry is high when combined with a 4K TV. The timing of future 4K game patches is unclear. Xbox One X launches on November 7, 2017 for $499. This review was conducted using units provided by Microsoft.